Eyebrows can thin over time due to stress, lifestyle and ageing as eyebrow hair loses its elasticity. Thankfully, you can keep your eyebrows in top condition and make yourself look up to 10 years younger, with Benefit’s entire eyebrow kit – including their best-selling volumising eyebrow gel, Gimme Brow+, and five other special treats that come as part of their new brow-boosting Magical Brow Stars kit. 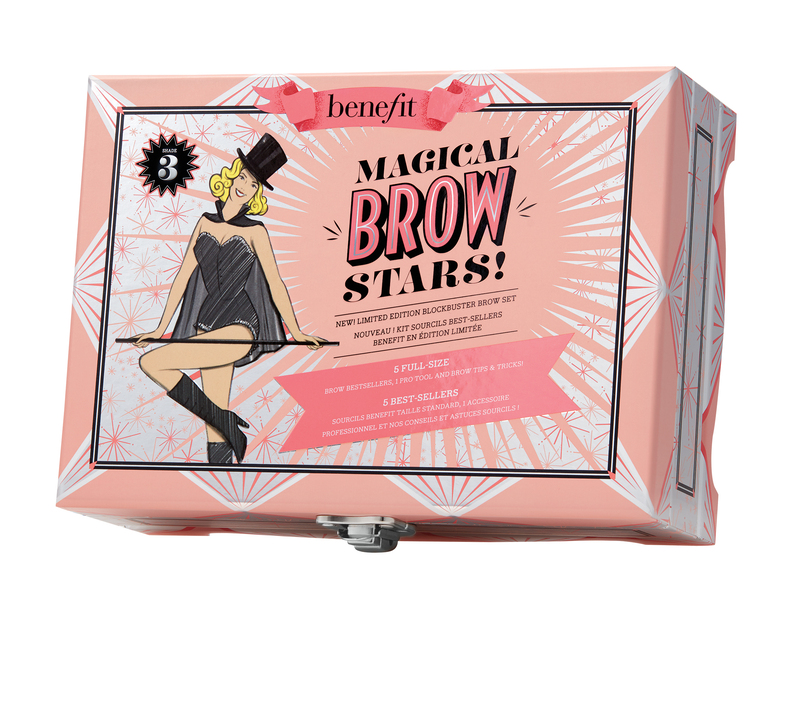 Though many beauty kits contain small sample sizes, Benefit are feeling extra generous with their Magical Brow Stars box, which includes five full-size products, one pro tool and tips to help you get your best brows yet. 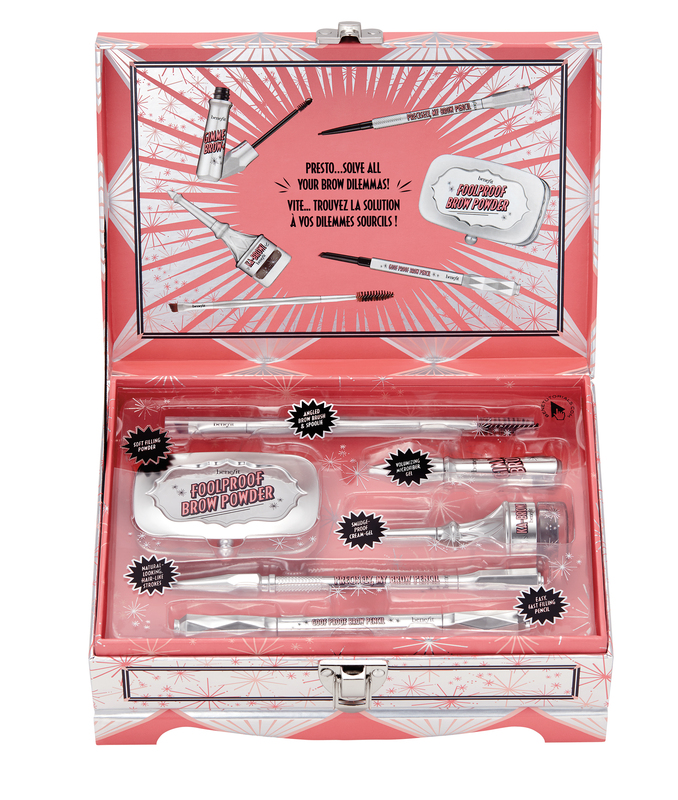 The kit is worth £118, but it’s available from Benefit now for just £49.50, less than half the price – what a bargain! Benefit recently made a few tweaks to their cult, best-selling tinted eyebrow gel Gimme Brow to improve its volumising qualities. Both lightweight and water-resistant, Gimme Brow+’s gel formula adds fullness to eyebrows without weighing them down. It also comes with a highly precise applicator – so there’s minimal mess when you’re making your brows look their best. Even one of the W&H team has seen incredible results with the Benefit kit. Stephanie, our Acting Digital Content Director, shows her before-and-after in the photo below, and we think you’ll agree that she looks fabulous! Want extra help in attaining beautiful brows? Whether you want natural- or bold-looking brows, the Magical Brow Stars kit comes with helpful tips on how to use the products to get the desired results. The Magical Brow Stars kit is currently available in two shades – 03 (light brown) and 05 (dark brown). Buy yours today for £49.50 from Benefit. But you’ll need to be quick, as the kit is limited edition, so it won’t be around forever!